With NYE quickly approaching, it is time to check off your list of party essentials. Whether you are hosting or simply attending, jazz up the New Year’s Eve festivities with these items. Champagne and ringing in the New Year come hand in hand. Whether you drink it solo, or add some bubbles to your fancy cocktail, you have to fit it in there somewhere. 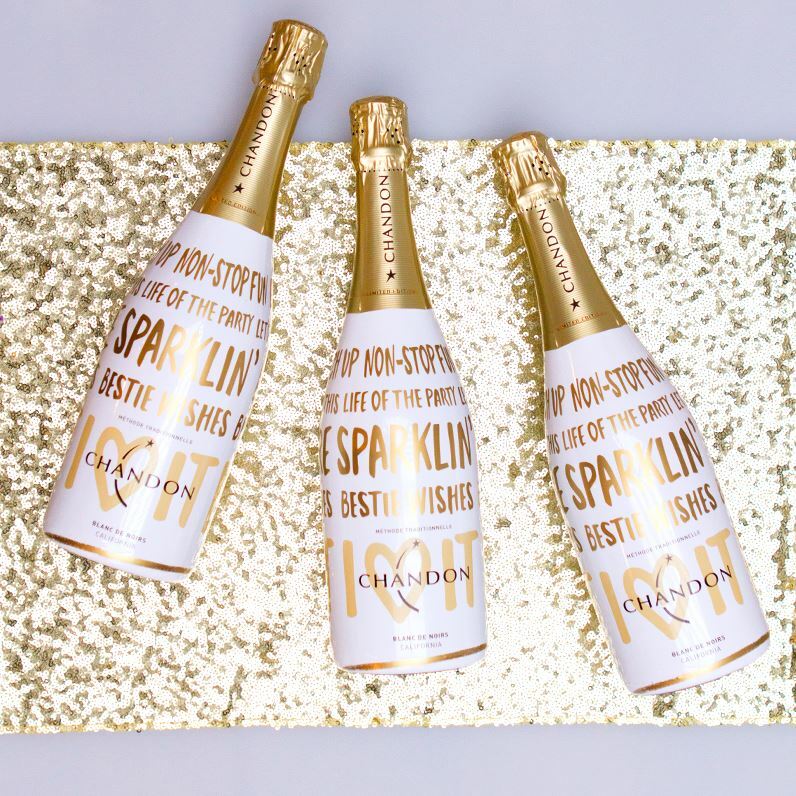 Dress up your bar cart this year with the 2015 Holiday Limited Addition Bottle by Chandon! This pretty little thing not only tastes good, but it looks good too! Click here to find out where you can get your hands on a bottle of Chandon near you. Half the fun is in the glass! Is it just me, or do you agree that your adult beverage tastes better when you drink it out of pretty drink ware?! If we are on the same wavelength, hear me out. 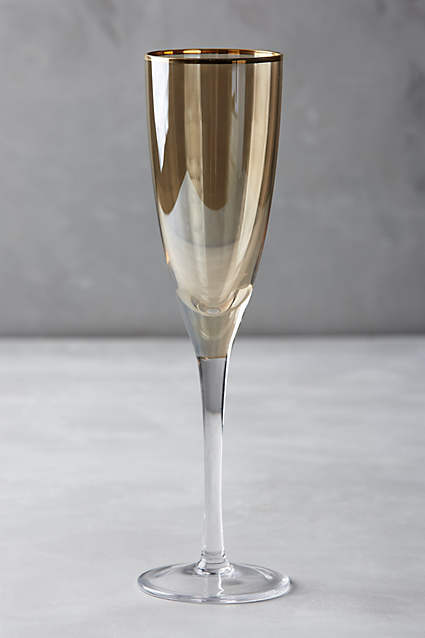 Sip in style with the Ambrose Champagne Flutes from the one and only Anthropologie. If you’re afraid of breakage, check out this durable plastic version from Target. 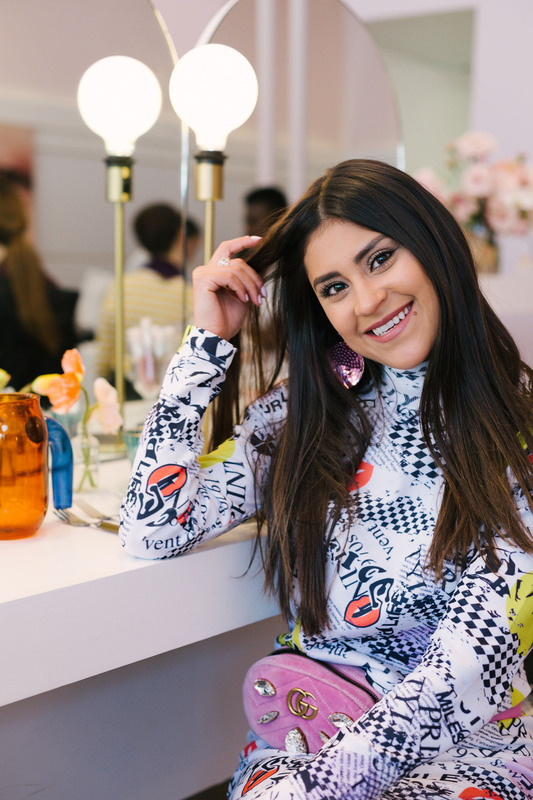 What fun is a house party without a sweet treat or two, or three if you’re me?! 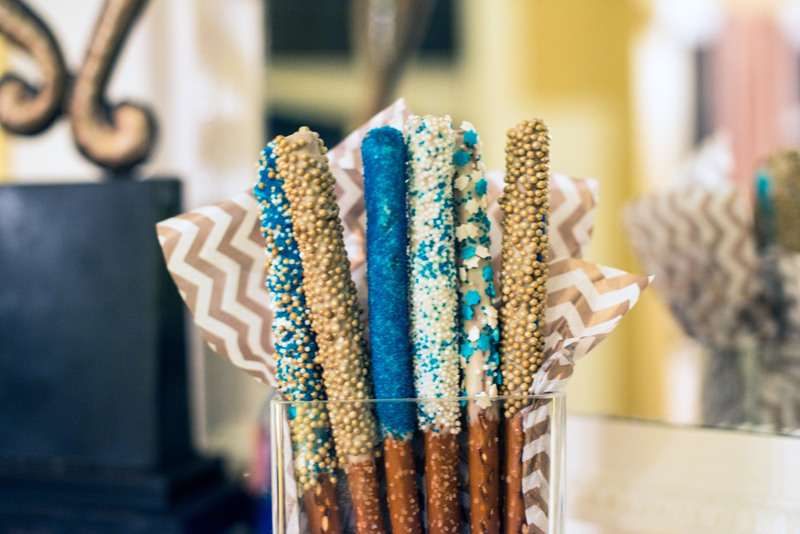 Sweeten up your soirée with chocolate covered pretzels. You already saw how easy it was to whip up a batch a couple of weeks ago, so here is your chance to wow your guests this holiday. Swap out the blue for white and gold sprinkles. Serve buffet style or hand out as party favors at the end of the night. Beautiful post. Only you, whipping up those amazing pretzels!!! Great sunglasses from the AMAZING Jest Jewels!!! The whole post spoke to me. Happy 2016!!! I’m so glad you liked it! It was fun for me to write. 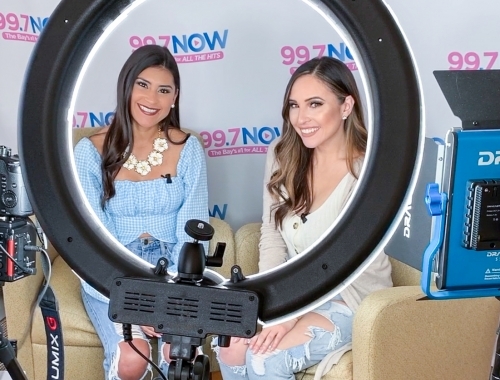 Now that all of the party decor is in order, stay tuned for the party outfit! Fabulous woman! You look hot, Happy New Year! I am so flattered, Claire! Thank you for making my day. Happy New Year to you too!